Last year, I took a course called Teaching Language and The Arts in the Junior Division and our professor expressed her adoration for using picture books in the classroom. The wonderful combination of visuals and textual stories that picture books offer is a valuable literary experience. 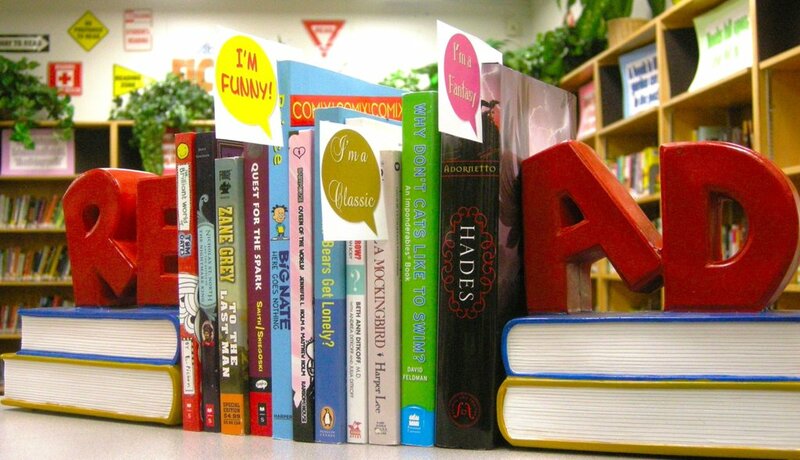 However, picture books do not have to be used exclusively during literacy; they provide valuable learning opportunities in a number of disciplines. 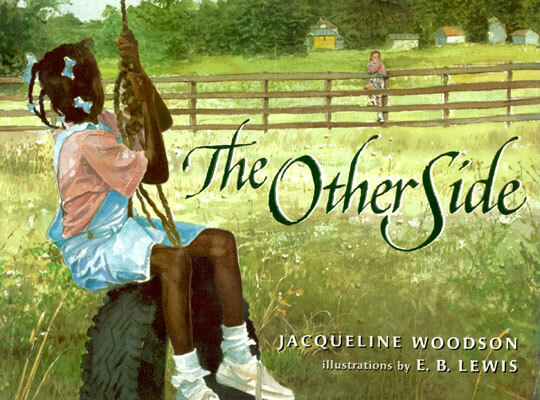 Summary: The Other Side is a story of friendship across a racial divide. Clover is a young, African American girl who lives beside a fence that separates her town into a white section and a black section. Her mother tells her that she is not allowed to climb over the fence because it is unsafe on the other side. Clover regularly plays with a group of friends, in view of a lonely white girl. Eventually, Clover starts a conversation with the other girl, Annie, thus initiating their friendship. They both recognize that they can’t cross the fence, but they get around the rules by sitting on top of the fence together, an area deemed no man’s land. Significance: This book is a great resource when it comes to introducing complex subject matters in an engaging and creative way. 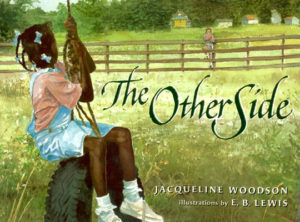 The Other Side presents the history of racism, yet it takes a positive approach to a heavy topic. This story can be used in a number of different subject areas, including Language, History, and Art. 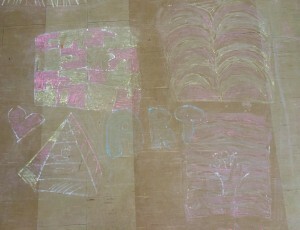 The pictures can spark a Visual Arts lesson focused on analyzing the images (What types of images were used? Why did the illustrator use that type of art? ), and exploring the cultural contexts of the art. Many discussion topics can be explored after reading the book, such as the history of racism and the role of each character in portraying the significance of the subject matter, among others. These discussions can lead to assessments that fall under a number of Language and History overall expectations. Summary: As the first novel in the Incredible Worlds of Wally McDoogle series, we are introduced to twelve-year-old Wally McDoogle. Wally dreams of being a writer, being a superhero, and most importantly, writing about a superhero. His father registers Wally for camp, insisting it will make him a “real man”. Wally’s fears come true before he even makes it to Camp Wahkah Wahkah: he gets picked up and thrown against the roof of the bus by Gary the Gorilla, a humongous bully. As Wally continually gets bullied for being dork-oid, how he writes a story about a superhero defeating a villain, closely resembling the situations he is facing in real life. Significance: This novel is a great resource for teachers in the Catholic school board that are looking for an age-appropriate story that teaches valuable life-lessons. Written with a comedic approach, Wally is a relatable character for many students in elementary school. He references God and the values and morals used to overcome tough situations. This provides a way to introduce students to morality, consciousness, and religion. Wally also dreams of becoming a writer and is in the process of writing his own superhero story. This concept alone presents many opportunities for further study, such as writing their own life stories in the creative outlook of a superhero character. 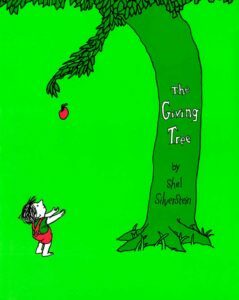 There are 27 books in the series, which presents an interesting opportunity for group collaboration: if each student is able to read a different book in the series, the class can engage in Knowledge-Building Circles discussing the similarities and differences among the lessons learned in each of the novels. 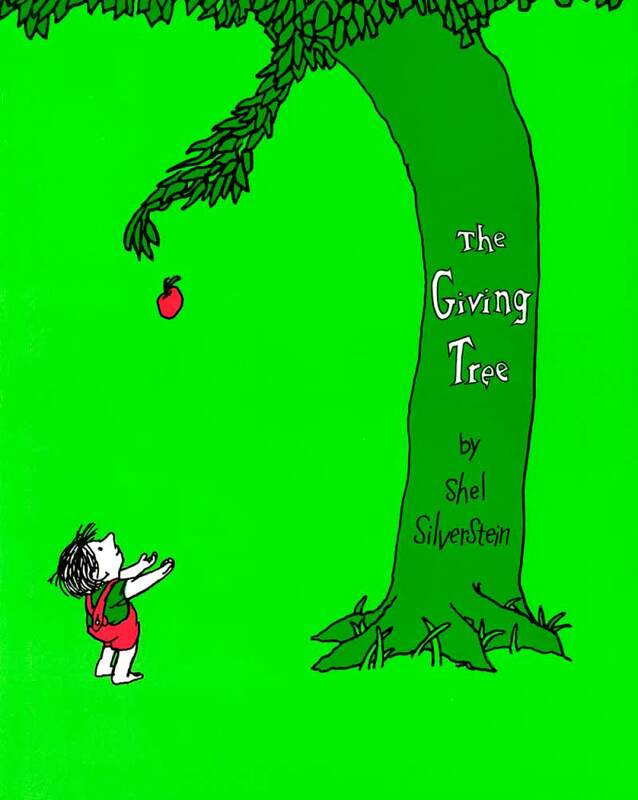 Significance: As both the author and illustrator of The Giving Tree, Shel Silverstein serves as an example of cross-curricular connections. This story at its very essence details a relationship built on selflessly giving what we have to others and not expecting anything in return. In the upper elementary grades, this relationship can be interpreted and explored in many different ways: a parent and their child, God and humanity, the environment and humans, and two friends. Whether the picture book is treated as an introductory hook to a lesson or the basis of a lesson, these relationships can lead to discussions in a number of different subject areas, such as Language, Religion, and Social Studies. The simplicity of the illustrations allows the reader to internalize the story without being distracted by the images. The connection of the images to the plot of the story would make for a great Visual Arts discussion, and the lessons gathered from the story can lead into other areas of The Arts (Music, Drama, and Dance). My name is Ryan McTavish and I am a 23-year old musician and Autism activist. I was diagnosed with Autism at the age of 5. Last year in 2015, I hosted my very first show to raise awareness for Autism called Rock For Autism Waterloo, with special guest, Canadian music legend Fred Penner. This year, to continue my advocacy career, I created a video called “Start Living Acceptance”…and my coined phrase, “Stop talking awareness…Start LIVING Acceptance” began to spread. … And this exactly what blew me away about Ryan. 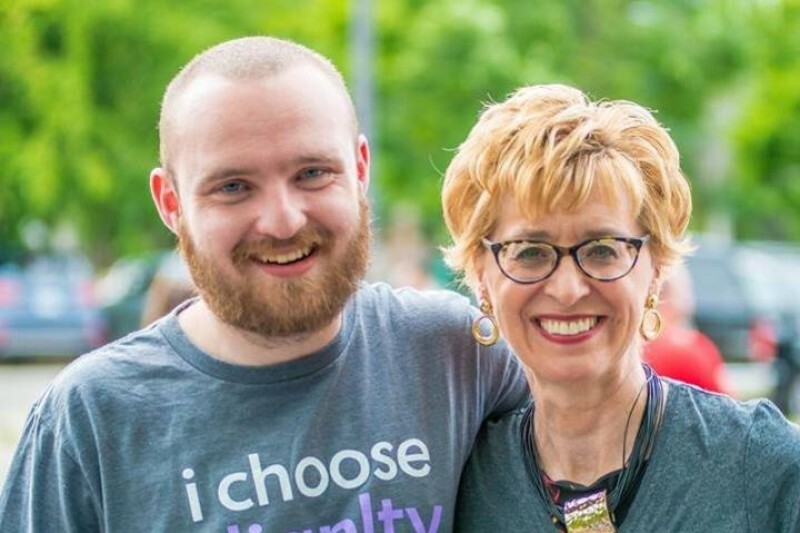 He stood in front of a room of support people, each with their own views about what it means to support someone with autism, and shook our mindset about awareness. Yes, awareness is important when it comes to individuals with varying abilities, but it is not enough. We must learn to accept others for who they are and display this mindset through our every day interactions with others. Ryan has now created a GoFundMe campaign to raise money to create promotional mechandise, which will begin to be printed, if enough funding, by the fall or winter. These T-Shirts will contain the phrase “Stop talking awareness…Start LIVING acceptance” in some way, and the distribution of these shirts will help give Ryan’s advocacy campaign a boost to spread further. The shirts will be sold to numerous supporters, including friends, families, organizations, and any place I will speak or perform. PLEASE go support Ryan’s message here. Thank you for all your support, and START LIVING ACCEPTANCE! Working at Extend-A-Family has brought to my attention many different theories and philosophies of leading and working with others. 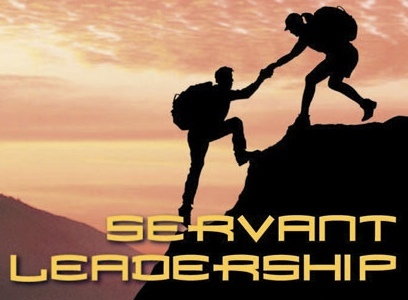 One of the main philosophies that we incorporate into all of our interactions with the people we support or our teammates is called servant leadership. 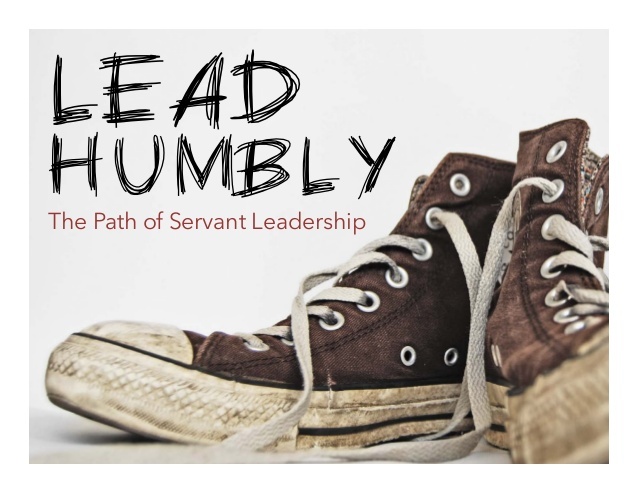 Servant leadership is a philosophy and set of practices that enriches the lives of individuals, builds better organizations and ultimately creates a more just and caring world. The themes present within this philosophy often remind me of the type of characteristics I hope to emulate as a teacher within the classroom. These themes are so important when working with anyone. We must always conduct ourselves in a way that is respectable and self-less when working with others, whether it be peers or students. By constantly conducting ourselves in this manner, we remind ourselves of exactly who our work is for: others. Work can be a stressful place sometimes. Due dates, timelines, tasks… Things are constantly running through our mind, forcing us to over-think everything, making us feel that the things we are working on are way bigger than they actually are. But work isn’t the only place this happens. Often as adults, we overlook the stressful lives that children in this day and age are living. The strange part is, many of the stressors that adults experience are the same as students in the classroom are experiencing. Students have deadlines. Students have work. Students have social pressures. And yet, we as teachers do not always do an adequate job of preparing students for these stressors that they will most likely experience for the rest of their lives. There is a movement in the world of education to break down the stigma of mental health by explaining exactly what it is to be depressed or anxious. We also explain to them the importance of seeking help and we provide them with different resources they can contact. 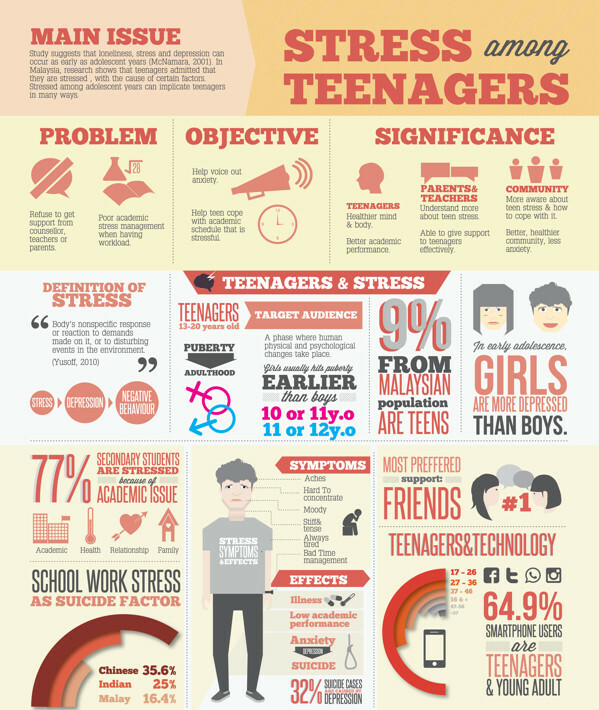 On a day-to-day basis, students experience a number of different stressors, but does this make them depressed? In the short-term, no. So, shouldn’t we also prepare them for the daily stress they’ll inevitably encounter? 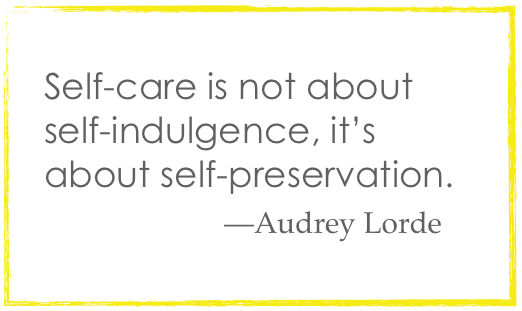 In its very essence, his advice explains the basics of self-care. 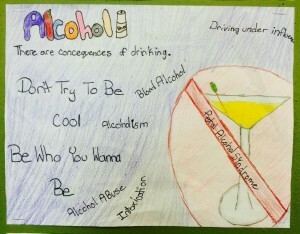 This is something that is of great importance to all people, students included. 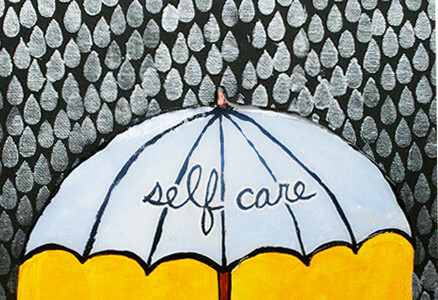 Each of these little topics can be used to start a class discussion about mental health, self-care, and realistic and achievable methods of dealing with stress. Even a 20-minute discussion once a week could provide students with an understanding of their own stress and how to cope with it, so that they can continue to reach their highest potential. Authors: Spencer Burton, Louise Yeon, Devin Hollefriend (2015). Society has a major influence on the current school system. There are a variety of issues that contribute to the overarching theme of society’s effect on schooling, specifically in social, cultural, and political contexts. 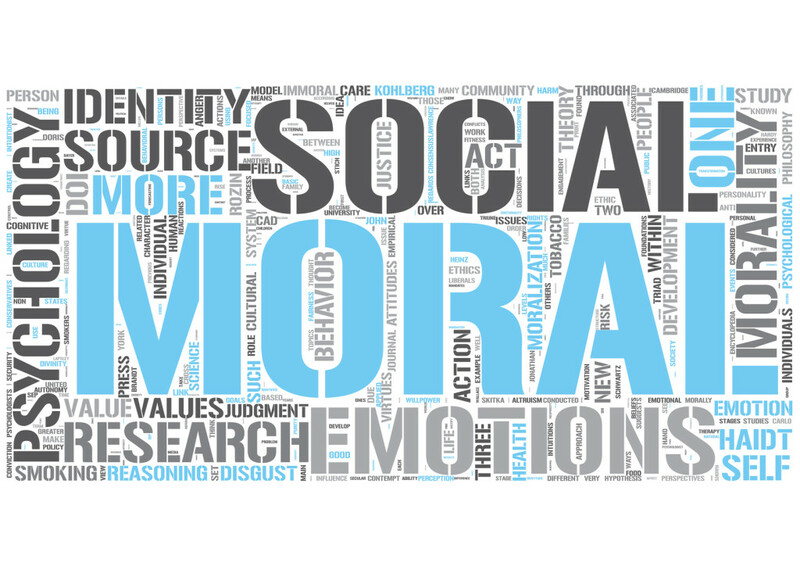 We will explore the social implication of bullying and its various effects on students. To support this topic, we will emphasize the need of creating a culture of acceptance for promoting mental health. We will conclude our paper by discussing the political contexts of the multifunctionality of the school system. Bullying is a prime example of a social issue that has a profoundly negative impact on the school system. Bullying can place a large stress on students that could lead them to develop various mental illnesses such as anxiety or depression, which in turn would have considerable negative social implications within the school system. There is a multitude of ideas for ways in which to approach the treatment and prevention of bullying. PREVNet (Promoting Relationships and Preventing Violence Network) is a Canadian organization that unites leading researchers and professionals who focus on the topic of bullying with the goal of presenting the issue of bullying as a “relationship problem that requires relationship solutions”(prevnet.ca, 2015). 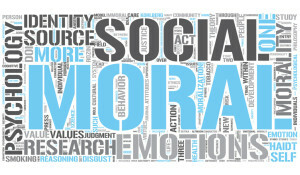 This way of thinking about bullying underscores the social aspects of the issue of bullying. As a result, the negative implications of bullying as a social issue call into question the role of the school climate in its impact on bullying. Generally, the idea of a strongly positive school climate is used to describe an ideal method of bullying prevention. One factor that could have a large impact on the positivity of school climate is the treatment of acts of bullying. The idea of a restorative approach as opposed to the traditional punitive approach as a response to acts of bullying is largely identified as a way to treat those involved in acts of bullying in a way that promotes a positive school climate. The restorative approach holds students accountable for their actions and aims to provide meaningful consequences for their actions (ref.? david smith article). Thus, the restorative approach to the treatment of acts of bullying aims to promote a positive school climate, which will hopefully reduce the negative impacts of bullying on the school system. We have made great strides in creating conversations about mental health issues within a school climate. It is more widely talked about, accepted, and understood. That being said, the stigma has not disappeared and feelings of shame and guilt by those affected by mental health issues are still widely experienced. Depression, chronic stress, sleep issues, eating disorders, and thoughts of suicide are all possible mental health implications that are experienced by many students throughout their educational career. Thus, mental health in the school system is an issue that needs to be addressed. It’s one thing to create a culture of acceptance around mental health. It’s another to accept this as a baseline of what students will experience during their time in school. For stigma around mental illness and for attitudes and behaviours surrounding the topic to be truly erased from our culture, the school system needs to be proactive and take action. As educators, we must foster a safe and accepting community so that someone who is struggling can feel comfortable starting a conversation about mental health issues. Students should not have to experience feeling overwhelmed or as if they have to fight their battles alone; they should feel safe to open up about their conflicts to school staff and in turn receive relief efforts and resources. Educators must assume a new approach to the topic of mental health that views it as an aspect of an individual rather than a dysfunction, in an attempt to rectify the stigma that continues to linger around mental health. Positive psychology is an approach that does just that; it introduces and encourages “simple behaviors in which a person can engage to improve [their] own well-being” (Biswas-Diener, 2013). This framework will allow students to feel better about themselves, feel more confident in discussing their issues, and promote a sense of acceptance surrounding feelings and mental health. 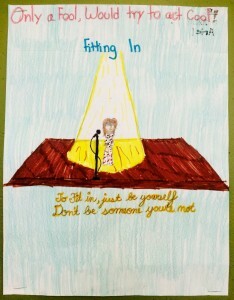 As discussed above, students are feeling the pressures of performance in education. 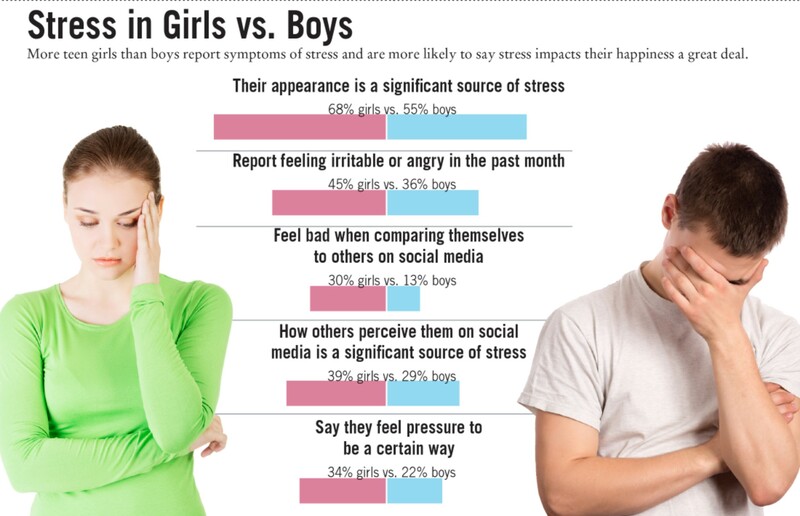 Both social structures and academic requirements have created a high-stress environment for students. 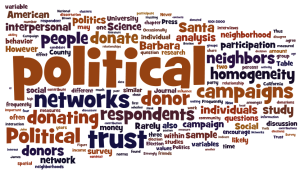 The trends seen in the expansion of curriculum expectations, growth in class sizes, and ever-increasing teacher responsibilities can be interpreted as a political cry for generating human capital. Whether it is formally intended or not, students feel pushed to the point of obligation to pursue post secondary education as they feel their worth calculated in terms of competition and report card marks. Due to the custodial function that has been adopted by teachers and the inherent social control that takes place in schools, students are vulnerable to the established social relations that are taught and experienced. This creates as much potential for a wonderful and enriching environment as it does a harmful and limiting one. As educators we need to move beyond teaching critical analysis and focus more on fostering critical, independent, and innovative thought in order to allow for students to drive their own learning. As children are naturally curious and have a strong desire to learn, this holistic approach is paramount for putting the student and their interests first. While research and literature surrounding effective and inclusive instruction strategies to promote student learning rather than political desire is rampant, putting it into practice will require a true and widespread shift in thought and action. Successful institution that already employ this model are already in existence and much can be learned from their example. 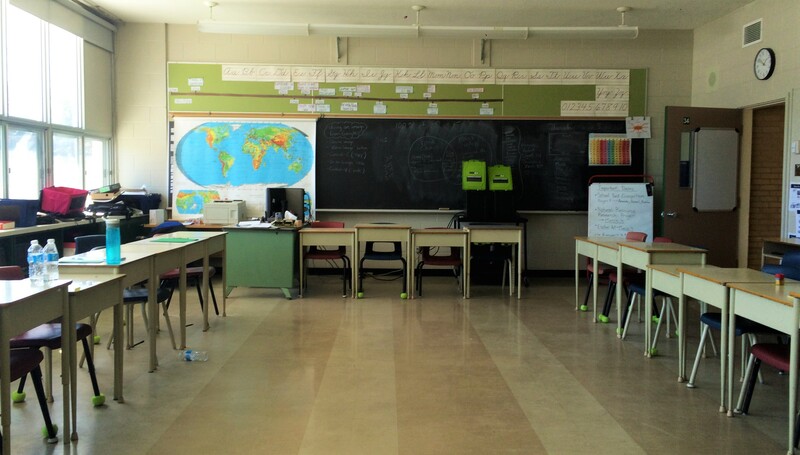 A.S. Neill’s Summerhill School is a prime example of an alternative to the mainstream system. 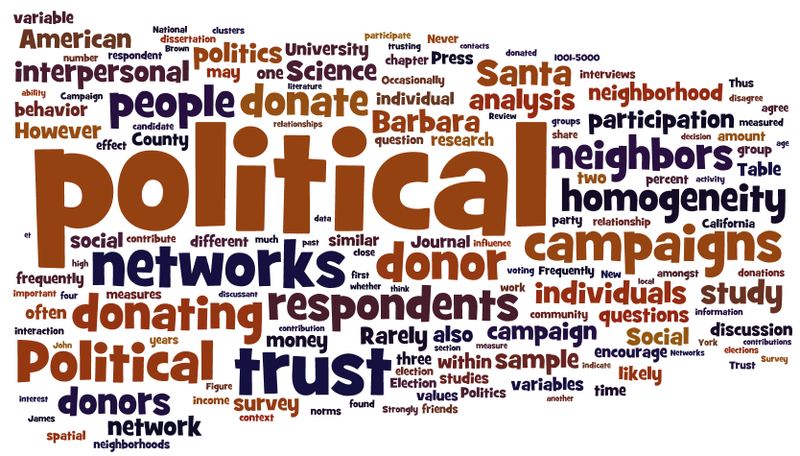 By advertising their school as a democratic learning experience, students have a strong voice in deciding the path of their individual education. Students graduate from this school having met the same requirements of the regular school system but have had an enriched and organic and most importantly engaged learning experience (Summerhill School, n.d.). Allowing students to take initiative and drive their own education promotes a positive and effective learning environment that allows students and teachers as co-learners to work towards a common goal. Moving away from the top-down approach of imposition and resistance can foster a much healthier and more effective learning experience. Through an attempt to make the unintended functions of schooling intentional, with a larger emphasis on character building, we expect that there will be a more comprehensive development of positive mental health among the students population. This development of positive mental health climate in schools will promote and create a positive and accepting environment in which students feel safe, thus reducing the occurrence of bullying. In summation, the social, cultural, and political contexts of Canada’s society prove to have immense impacts on the school system. Smith, David. Improving School Climate to Reduce Bullying. (2012). Canada Education, 65-68. 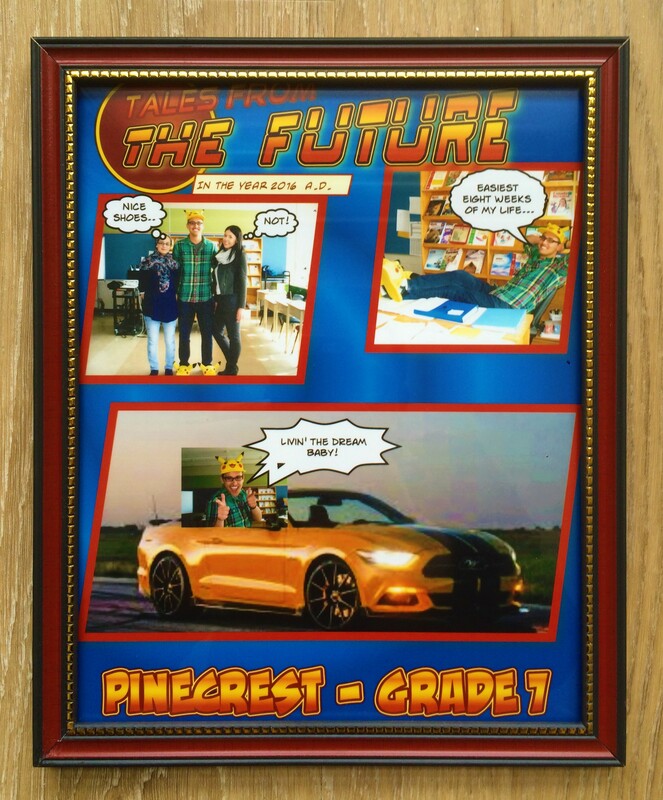 8 weeks ago, I walked into Pinecrest Public School to begin my first student teaching placement. Pinecrest is talked about as one of the “roughest” schools in all of Ottawa, with many of its students living in shelters or subsidized housing projects. Everyday brought a new challenge, whether it was related to academics, bullying, mental health, nutrition, or another area of concern. 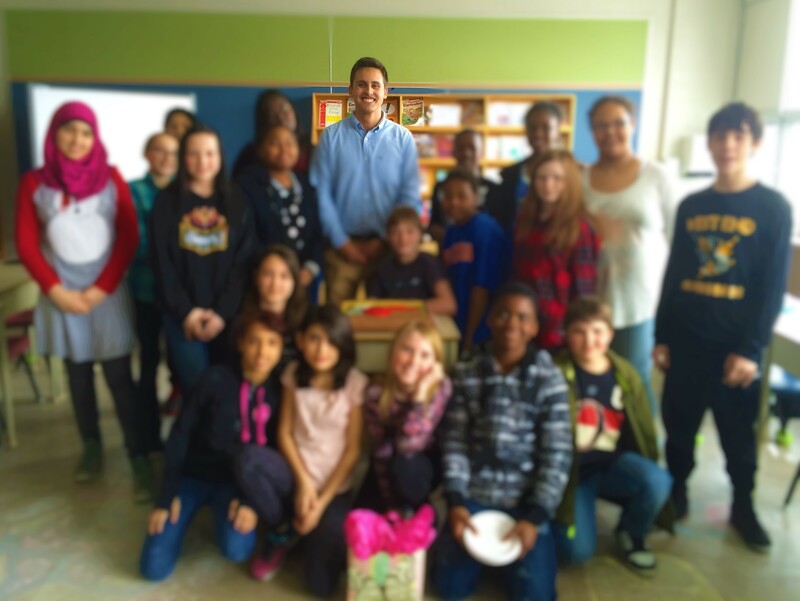 However, after 8 weeks of teaching fulltime, I truly came to know and understand each of my grade 7 students and their situations. Their life stories made me want to try harder and be better for them. What does it mean to be a good student? Does it mean to have good marks? Does it mean being polite and kind to other students and teachers? Does it mean to be involved in extracurricular activities? There are many times in the teaching profession when teachers fall into a trend of praising the small successes of the students who are struggling, while failing to praise the great successes of their “top” students. My goal for this week, especially as it was my last week of practicum, was to celebrate the success of all of my students, including those who I expect nothing less from. I was definitely more attentive throughout the week to my students’ academic successes, giving more vocal and written praise. 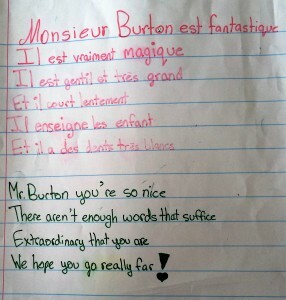 I believe that this truly had an impact on my students’ effort and work ethic, since it allowed them to realize that someone else recognized their achievements. Also, for the last day of my placement, I wrote each student a personalized card thanking them for welcoming me into their classroom and for all of their effort over the past 8 weeks. 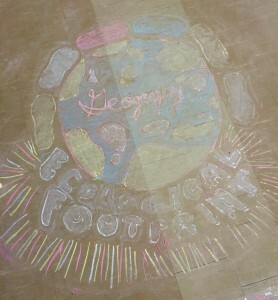 Today was my last day with my class, and one that I will never forget. 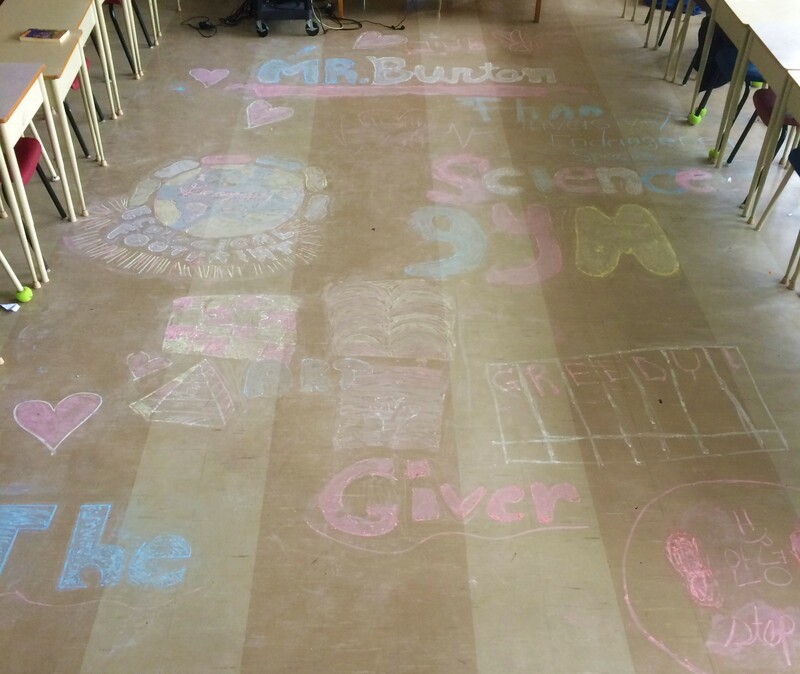 When I walked into my classroom, the students had drawn a chalk mural on the floor recounting all of the lessons and topics that I taught them. This blew me away; maybe they had learned something after all! Afterwards, they sang me a song they wrote, gave me a few cards they made, and presented me with an incredible cake, none of which was expected! Lastly, my associate teacher gave me a framed poster that was absolutely hilarious. I am truly going to miss 7A and I’m thankful to have been their teacher. In reality, they taught me way more than I could have ever taught them. Until next time, 7A! There were many times when I was in elementary and secondary school where I would question the teacher about the relevancy of the work we were doing. 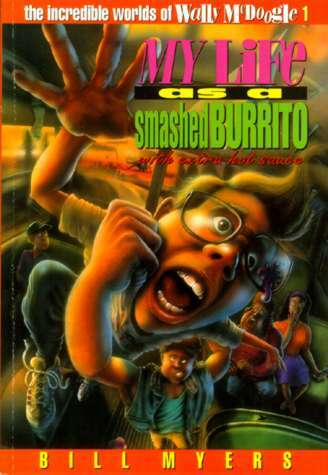 How or when am I going to use this in the real world? Now as a teacher and young adult, I can definitely see the merit in the content being taught to the students, however it still remains true that much of the work we do in the classroom may not be like the real world. Wouldn’t it be great if it were? Including real-life applications into the curriculum may not always be the first thing that comes to mind when planning how to teach a lesson, but it should definitely be intertwined with everything we do. Allowing students to interact, manipulate, explore, collaborate, and discuss openly about real-life applications leads to a greater depth of reasoning and creativity. Essentially, it’s learning that sticks. This week, I achieved my goal of making more real-world connections in my teaching in multiple ways. 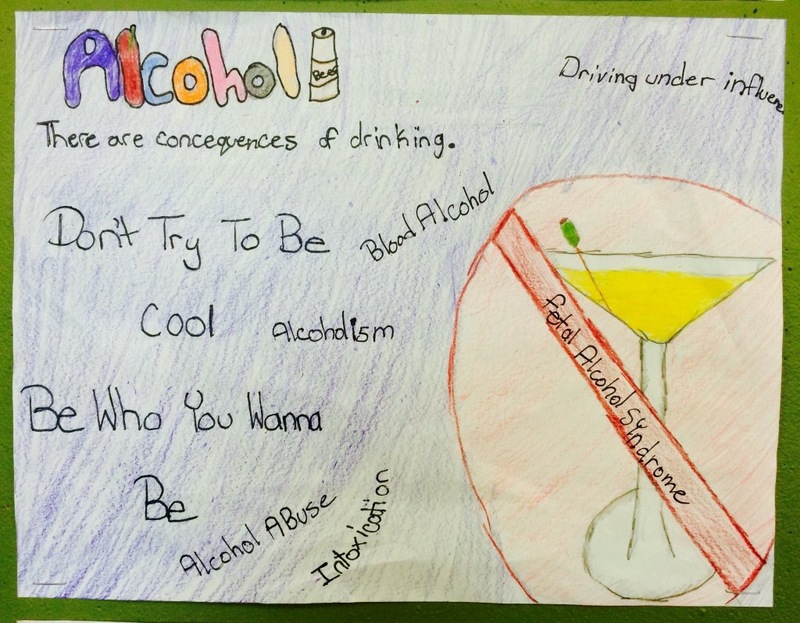 In our health unit on alcohol, students created and displayed public service announcement posters related to the topic of teenaged alcohol consumption. 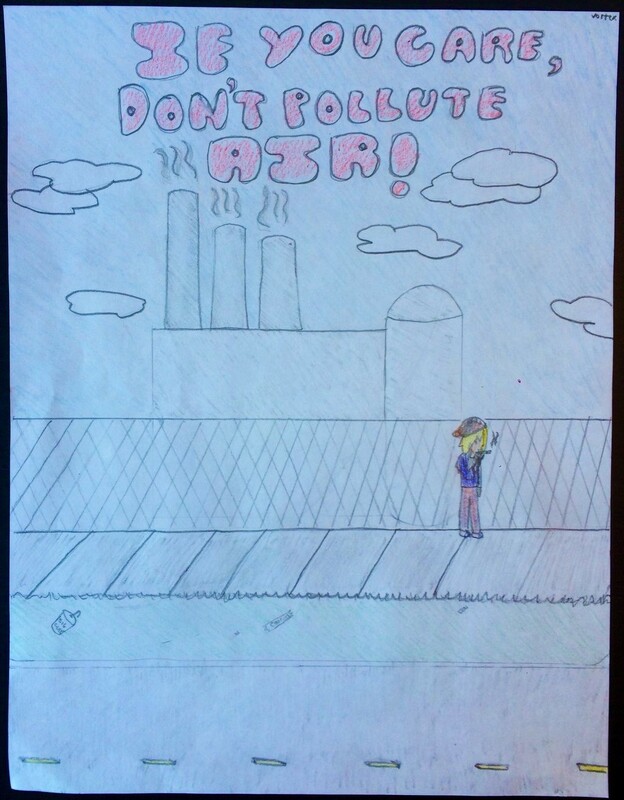 They were engaged in their learning, they actively researched various facts, and they were motivated by the fact that other students would see their work once it was posted. They turned out great! 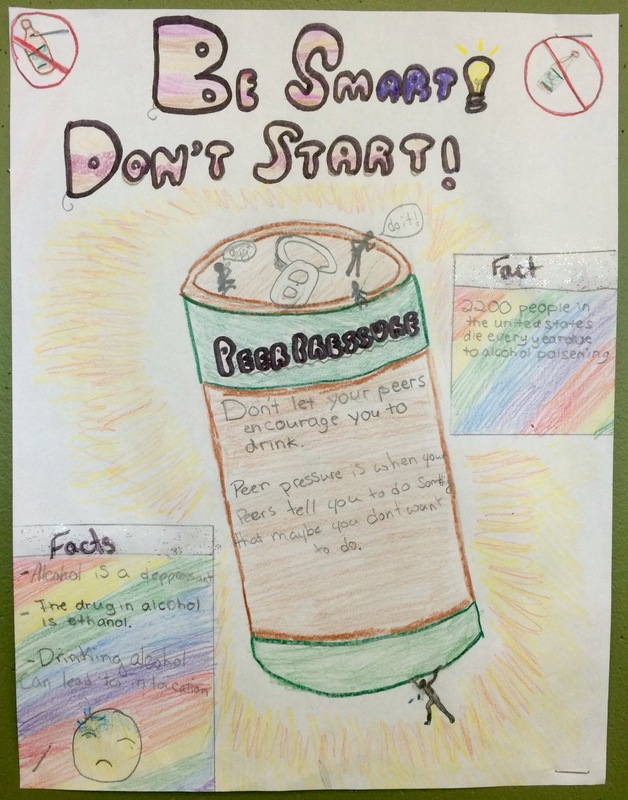 After the success of the alcohol public service announcement posters, I challenged my students to encourage others to live more sustainable lives, thus extending our environmental units in geography and science. They did this in two different ways. Firstly, they demonstrated their understanding of subject matter by writing a letter to the local newspaper. They discussed human effects on the environment, why living more sustainably is a good thing to do, and how people can change their behaviours. Not only did the students learn the subject matter, but they exemplified a real-world social justice application of their learning. 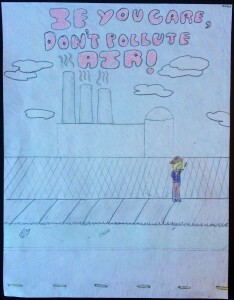 Secondly, the students created public service announcement posters related to the topic of sustainability. This shift in my teaching was apparent in all subjects, especially in math (measurement). Not only where students more engaged in their learning, but I found myself doing less ‘formal’ teaching and more coaching, which was also beneficial for me! When students are engaged in real-world problems, scenarios and challenges, they find relevance in the work and become engaged in learning important skills and content. Who knew teachers got just as excited about March Break as the students? More than anything, the week-long break was a time to unwind, regroup, and re-evaluate everything teaching and education related. I’ve noticed so much growth in myself personally and professionally since the beginning of practicum, but without taking a moment to sit back and reflect, it is difficult to fully appreciate the experience and everything that it is teaching me. 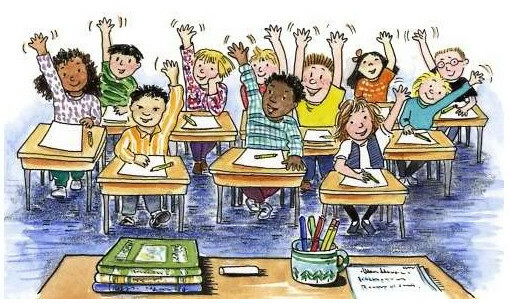 Over the last few weeks, I have noticed that the same group of students raise their hands to answer every question. 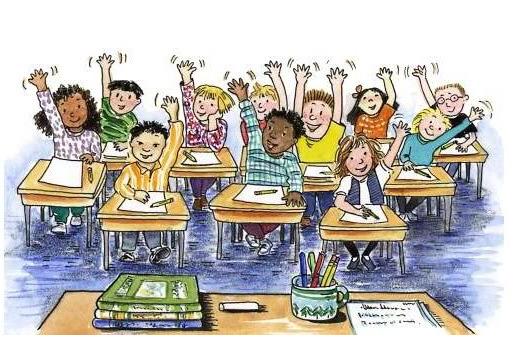 In any classroom, there is always that one group of students that consistently raise their hand and compete with the others to get called on. Not only do these students have the magic ability to literally hold their hand up for hours, but if we could let them talk all day, they would. My goal for the week was to promote every student’s engagement within the classroom. I chose this to be my goal for this week specifically to reorient students’ motivation for learning following March Break. Students learn when they are engaged within the classroom, but what is engagement? In my opinion, students are engaged when they are actively thinking about the topic. 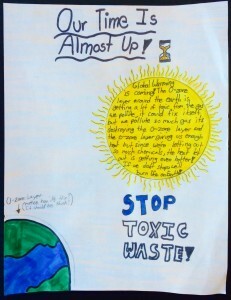 For some students, it takes a little longer to think about the topic. 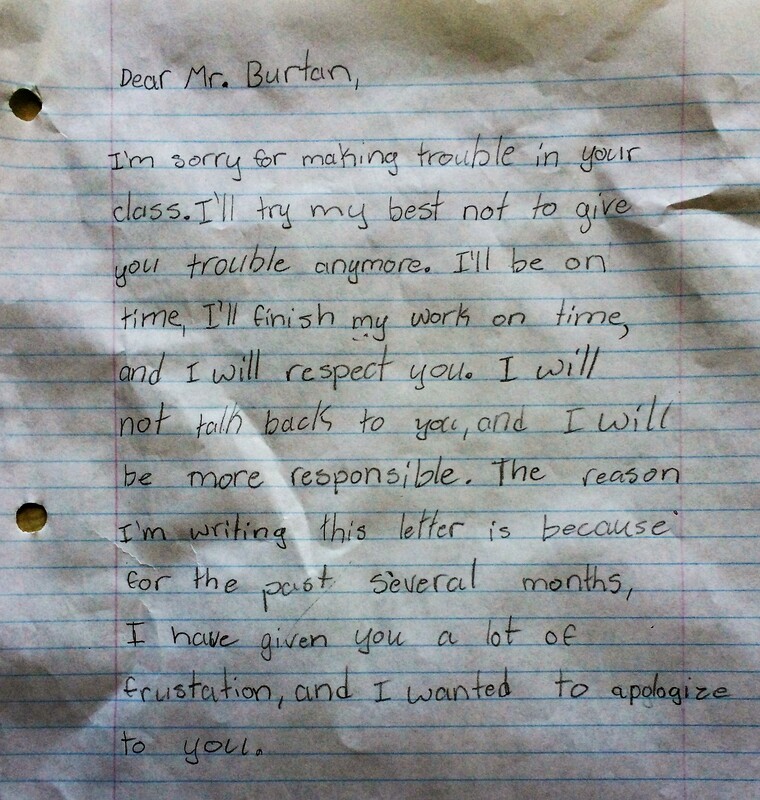 For this reason, I now wait between 8-10 seconds after posing a question to the class before calling on a student. 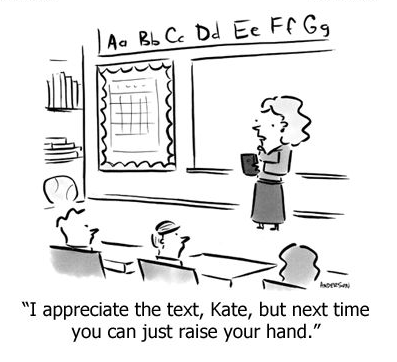 When I notice that students are disengaged with the lesson, I start to count the number of hands I see; this seems to encourage students to engage with the lesson and encourage their peers to do the same. 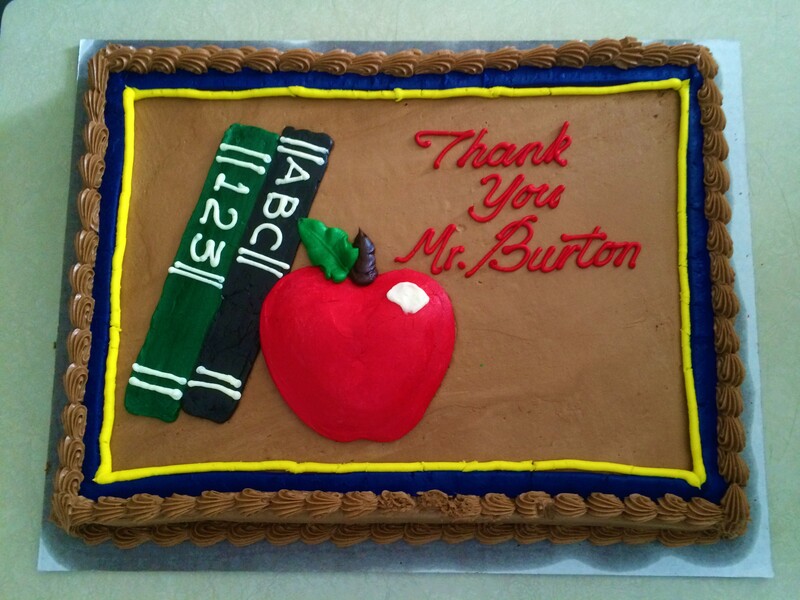 After he gave the letter to me on Monday, he has been a pleasure to teach ever since. I am not exactly sure what caused this change of attitude, but I can only hope that I helped to play a small part. Moments like these are why I hope to teach the middle school grades; teenagers are in such a critical period of their lives and as a teacher, you never know what role you might play in their life story. After last week’s successful use of technology for the geography natural resource projects, I made it my goal to continue the use of computers and technology to elevate student learning. This week, I took it upon myself to implement more visuals for my students in the form of Google Slides, video clips, and photos and maps from the internet, among other images. 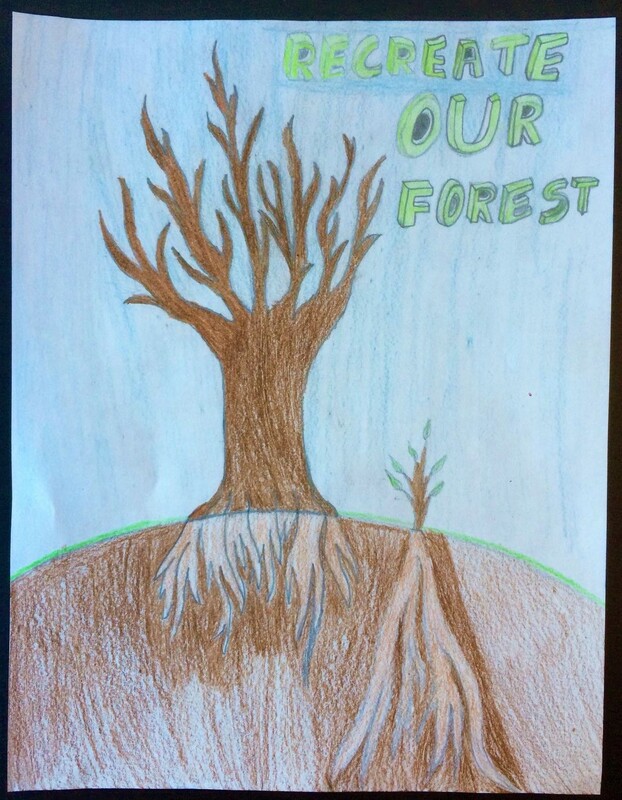 My students are very receptive of technology, no matter what form it comes in, and my visual were no different; they proved to capture the attention of even my most distracted students. In addition to technology, I used more artifacts than normal. 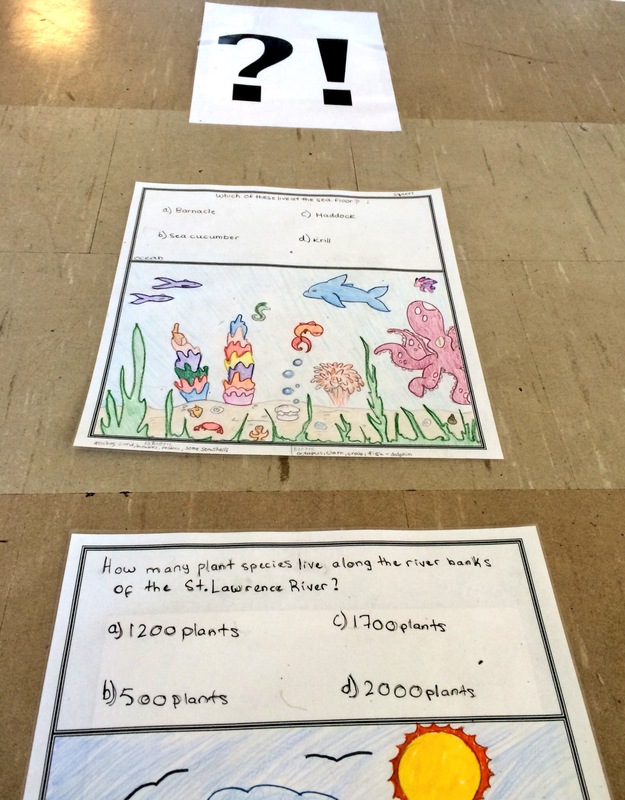 For our life-sized ecosystem board game project, I created my own board game piece to show my students exactly what was expected of them. This was very effective and many of my students produced great work that mirrored the effort that I demonstrated for them. Additionally, for a geography lesson about water as a natural resource, I used beakers and water to show the various quantities that water exists in our world (97% ocean, 2% frozen, >1% underground, ~0.007% fresh). 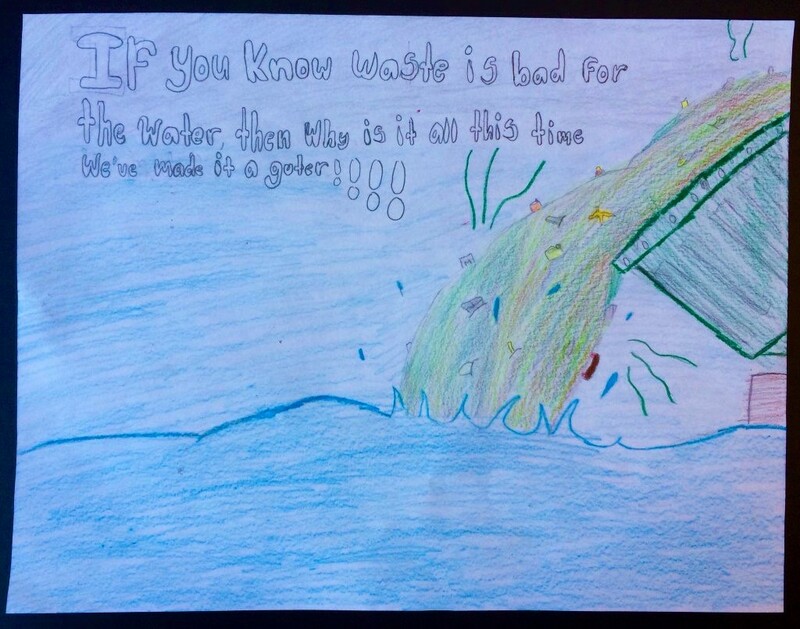 This visual was effective in putting into perspective how valuable our fresh water is and how important it is to keep it clean and unpolluted. Going back to the life-sized ecosystem board game project that I mentioned earlier… IT WAS AWESOME! 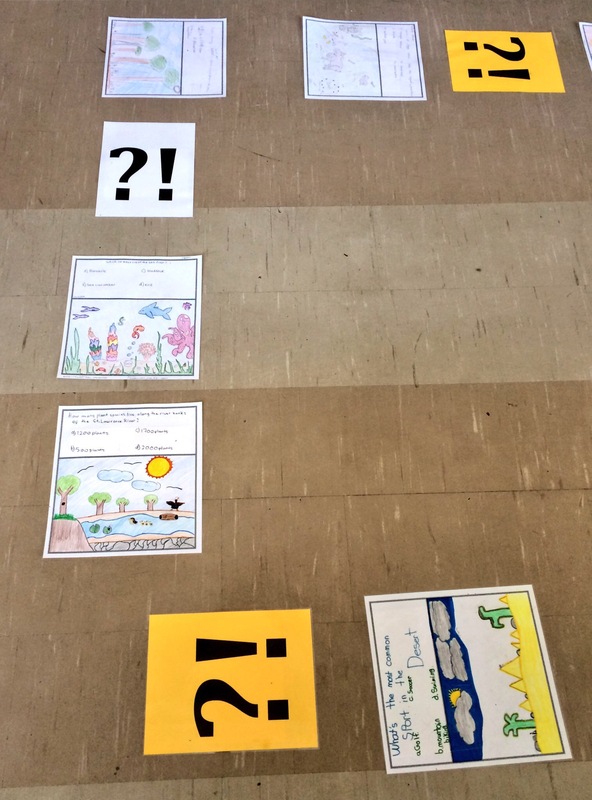 I gave each student a blank “board game piece” and on it, they were to draw a visual representation of their assigned ecosystem and write a multiple choice question that correlated with that ecosystem. On the back of the square, they wrote the answer to their question and wrote a paragraph providing more information about their question. 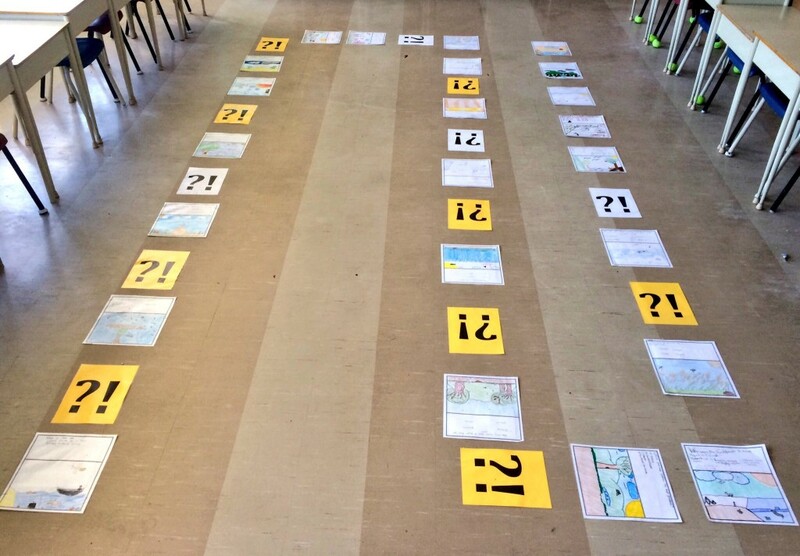 Once everyone had completed their square, I laminated them, laid them out on the floor of our classroom, and we played the life-sized board game! It was received very well by the students, and was educational to boot. 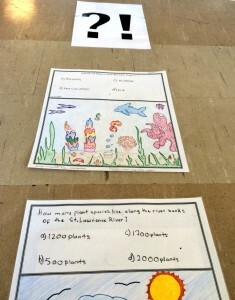 The life-sized board game is definitely a culminating task idea that would work well with any grade level, and one that I will do again in the future. 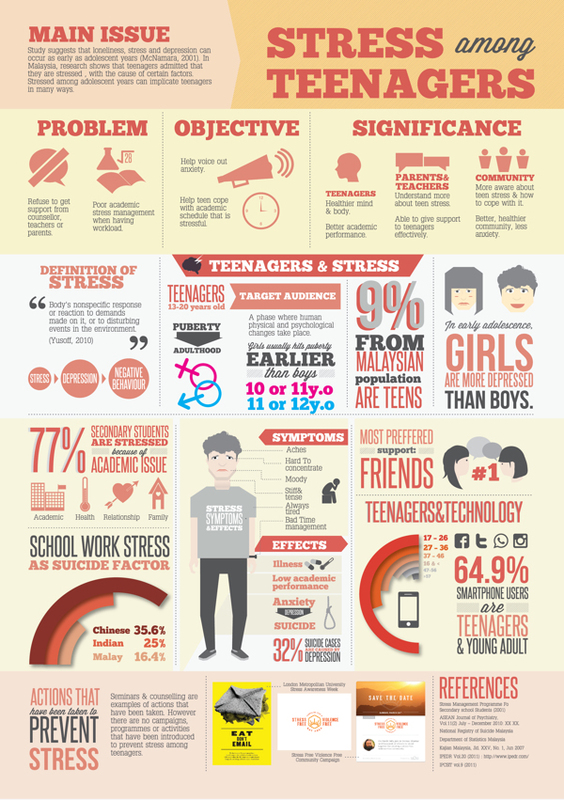 Teen Stress in our Schools is an article written by a professor and PhD student that have worked to create the StressOFF Strategies program. This program features a 45-minute session that introduces middle and high school students to the concepts of recognizing stress and utilizing coping skills to minimize its effects. The program features four key components: psychoeducation, decreasing stigma, coping skills, and follow-up. Psychoeducation seeks to teach students about stress and how to recognize it within themselves. The program seeks to decrease stigma around mental health by encouraging discussion and providing examples of celebrities that have talked about stress. The body of the program revolves around presenting three different types of coping skills: cognitive, physiological, and behavioural strategies. Lastly, a pamphlet and website accompany the program for future learning. It is important that the themes of stress and coping strategies are being addressed with a large emphasis in every school, starting at a young age. 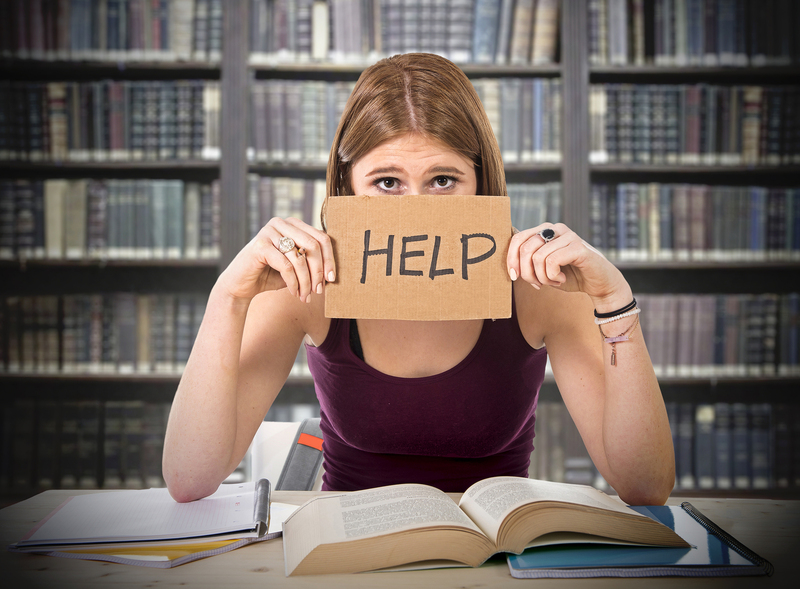 Every students experiences stress, perhaps even bouts of depression, and therefore it is important that students know what to do in these situations. In my opinion, while it might sounds like a great idea, I do not believe that coping skills can be adequately taught in 45-minutes. 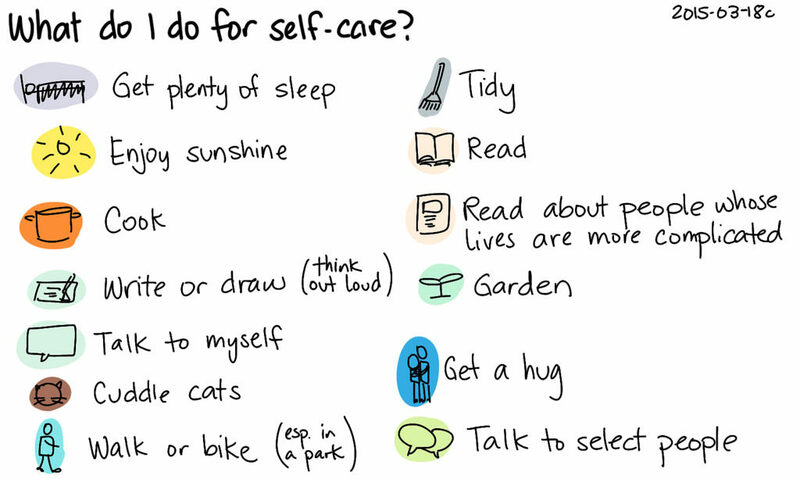 Yes, coping skills can be introduced. However, these strategies are behaviours that must be practiced and personally used, especially since coping methods vary from person to person. It is important to have a plan in place within the school if a student feels overly stressed and overwhelmed. This can include telling students how to appropriate communicate their feelings to the correct adults in the school, such as the teacher, guidance counselor, chaplain, or principal. It could also be beneficial to implement mandatory meetings for students with their guidance counselor to check in with academic, family, peer, and personal struggles. This would provide students with an ongoing opportunity to share, discuss, and learn how to deal with the issues they are facing in their lives. It is also important to look at the root causes of their stress. What is it about academics that are making students experience stress? Is it the unrealistic expectations place on their performance by their parents? Is the student struggling with the subject matter because they have an unrecognized learning disability? Or perhaps the student simply does not have proper time management skills, thus forcing them to feel the time crunch of attempting to finish work at the very last minute. Once we understand what is causing the stress, then we are able to adopt a proactive approach to stress, which is the best form of coping skill.